Commander Eric Tufnell RN (1888-1979). 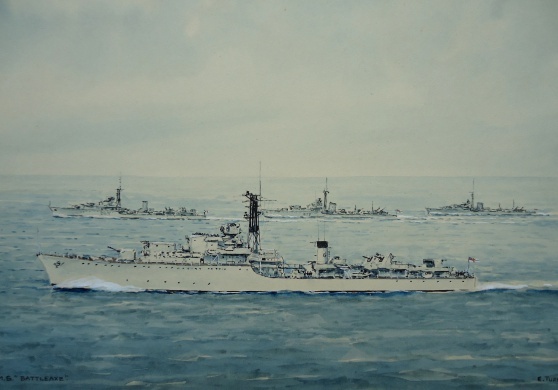 Watercolour signed E Tufnell (LR) and annotated by the artist HMS BATTLEAXE (LL). 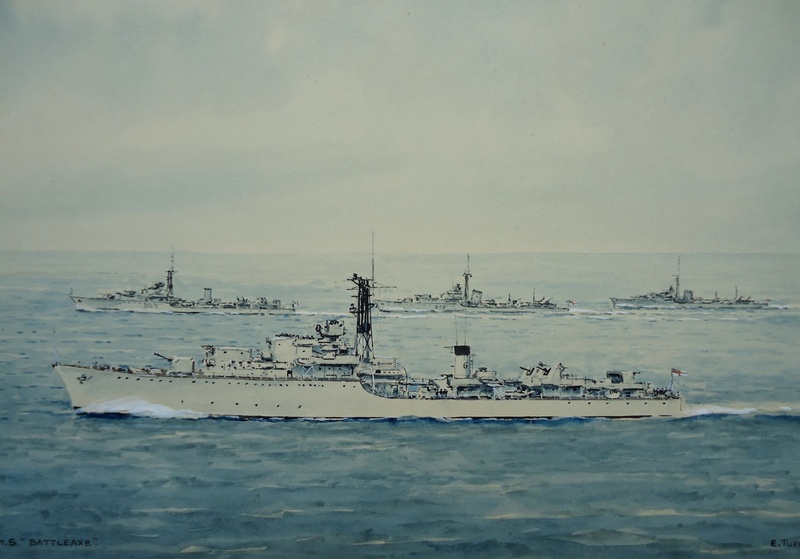 HMS BATTLEAXE is shown here early on in her career when she was fitted with a double squid A/S mortar in B gun position. She was Leader of the 6th Destroyer Squadron and is shown in company with HMS SCORPION, HMS CORUNNA and what appears to be a C Class destroyer, (could be HMS COMUS or HMS CONTEST).